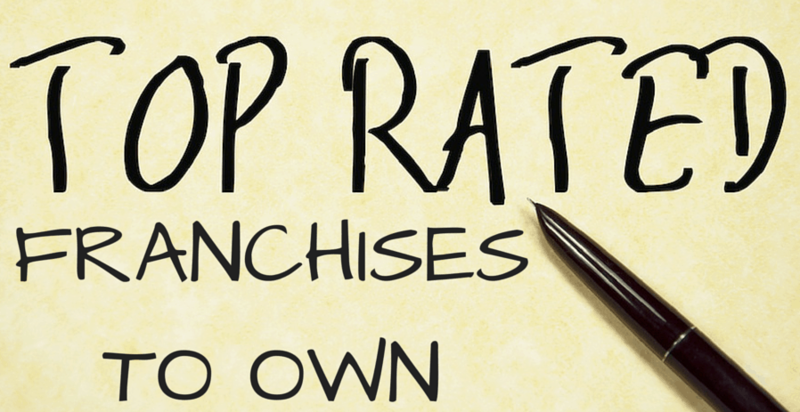 If you’re thinking about investing in one of today’s top rated franchises, you’ve come to the right place. Our list has been ranked on several key factors and covers numerous industries and investment levels. Browse our list to help narrow your search. With the right match, you can end up with a long-term, successful and fulfilling franchise. Good luck with your search! Camille’s Sidewalk Café has specialized in fresh delicious food in a warm and sunny atmosphere for over 16 years. 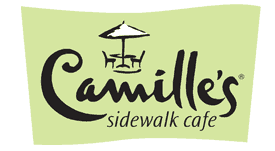 Camille’s Sidewalk Cafe specializes in salads, wraps, deli sandwiches, flatbread pizza, smoothies, desserts and coffee. Camille’s Sidewalk Cafe becomes “your” Camille’s in that you can choose from garden fresh greens, fresh fixings, meats and your favorite dressing all mixed before your eyes. Whether you are a beginning developer or a seasoned restaurateur, the Camille’s Sidewalk Cafe support system will hold your hand from the beginning of site selection, through architecture and construction phases, to restaurant management training and your Grand Opening. 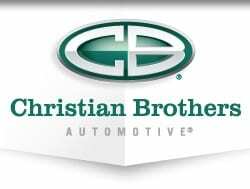 Christian Brothers opened its first store in 1982 and began franchising in 1996. There are now more than 135 locations nationwide. Best of all, Christian Brothers has never closed a franchise, earning it one of the best reputations among the top rated franchises. Christian Brothers Automotive offers a remarkably different auto service experience than the typical dealership or service station. They provide honest advice, fixing problems fast and help people stay on top of routine maintenance and head off potential problems. In turn, customers reward them with one of the highest customer satisfaction and loyalty ratings in the industry. The Sorenson Brothers, both former firefighters, opened their first Firehouse Subs restaurant in Jacksonville, Fla., in 1994, and began franchising the concept just a year later. Approaching 1,000 locations, Firehouse Subs’ expansion is carefully calculated to optimize potential, profitability, investment, and of course, franchisees’ success. Each Firehouse Subs franchise is decorated with firefighting memorabilia and artwork, with a menu that features hot and cold subs and salads. Featuring second-to-none sub sandwiches, and a commitment to the communities they serve, Firehouse Subs is a daily affirmation that serving good food and doing good belong together. Founded in 1976, Capriotti’s Sandwich Shop, is an award-winning sandwich shop that remains true to its 38-year tradition of slow-roasting whole, all natural turkeys in-house nightly. Capriotti’s homemade ingredients, hand-crafted subs and unique menu items have won numerous accolades including being voted “Greatest Sandwich in America” and is a recent winner of “Best of” awards in Delaware, Las Vegas, Dallas, Quad Cities, Eastern Shore and San Diego. Their cold, grilled and vegetarian subs, cheese steaks and salads are available at more than 104 company-owned and franchise locations in fifteen states across the U.S. They have mastered the art of sandwich making since 1976, racking up over 250 awards and counting along the way to becoming one of the top rated franchises. Nutty Scientists creates fun, hands-on, spectacular interactive activities in the form of shows or workshops related to science, technology, engineering and mathematics (STEM). Their internationally recognized pedagogic methodology increases children’s motivation, as well as their creativity, problem-solving and understanding of basic analytics. 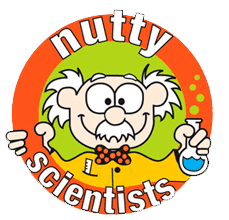 Nutty Scientists is the fastest growing children’s franchise in the world, with franchises operating in more than 40 countries on all continents. Entrepreneur magazine recommends Nutty Scientists as one of the ‘Top 10 Franchises’ for 2015 and the future. Jack in the Box is among the nation’s leading fast-food hamburger chains, with more than 2,200 quick-serve restaurants in 21 states and Guam. As the first major hamburger chain to develop and expand the concept of drive-thru dining, Jack in the Box has always emphasized on-the-go convenience, with approximately 85 percent of the half-billion guests served annually buying food at the drive-thru or for take-out. In addition to drive-thru windows, most restaurants have indoor dining areas and are open 18-24 hours a day. Jack in the Box pioneered a number of firsts in the quick-serve industry, including menu items that are now staples on most fast-food menu boards, like the breakfast sandwich and portable salads. Today, Jack in the Box offers a selection of distinctive, innovative products targeted at the fast-food consumer, including hamburgers, specialty sandwiches, salads and real ice cream shakes. 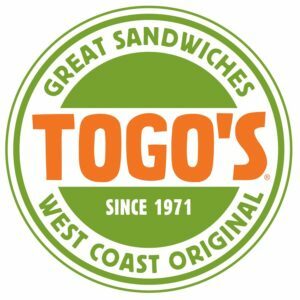 For more than 40 years, Togo’s has been the original West Coast sandwich franchise and has been serving big, made-to-order sandwiches stuffed with the freshest ingredients. Those sandwiches and their legendary guest service are the reasons Togo’s has such a loyal following. Their guests love us, and it shows: Togo’s was recently named to the Nation’s Restaurant News annual list of top Consumer Picks, which measures how much guests love a brand. As one of the top rated franchises, they are legendary in California and growing rapidly in several western states with recently signed deals in Idaho, Utah, Oregon, Washington, Colorado and Arizona, and plan to expand into Nevada. Founded in 1977 on the strength of an old family chocolate chip cookie recipe, Great American Cookies has set the standard for gourmet cookie sales in a fun, celebratory environment. For over 30 years, Great American Cookies has maintained the heritage and integrity of its products by producing proprietary cookie dough exclusively from its plant in Atlanta. Great American Cookies is known for its signature Cookie Cakes, trademark flavors and menu of delectable products baked fresh in store. Great American Cookies believes in providing excellent support to the local community. Their franchisees are active members of their local Chambers of Commerce, supporters of the neighborhood schools and partners with not-for-profit and other charitable organizations. Screenmobile is the nation’s largest mobile screen repair company with almost 100 franchise owners, and growing. They specialize in window, door and patio porch screen and solar shading products. For over 30 years, with no national competitors, franchise owners have enjoyed years of growth and success, as they continue to pioneer the industry. Screenmobile is a mobile franchise business, ideal for people looking for a family-friendly, repair franchise, and/or home improvement franchise. Screenmobile mobile truck locations service customers’ homes or businesses to provide mobile screen repair. This is done with Screenmobile’s highly customized screening trailers, trucks and vans and accompanying technology and support. 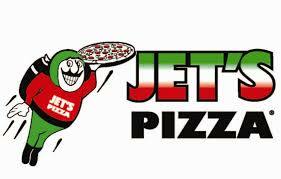 Jet’s Pizza began franchising in 1990 and has grown to more than 200 franchises throughout several states. Each store in the Jet’s Pizza chain uses a set of criteria that has been tested and proven essential in making each product Jet’s Pizza offers consistent and awesome. Since opening their first pizzeria, Jet’s has been selling pizza, submarine sandwiches and salads that have been pleasing the palates of people everywhere. But the single menu item that Jet’s Pizza has become famous for, above anything else, is their signature deep-dish square pizza. It is this style of pizza, and the way it is exclusively prepared, that differentiates Jet’s Pizza from any other pizzeria on the planet. Jet’s Pizza only uses the highest quality ingredients; they have built their business, their reputation and their taste on keeping it that way. As the nation’s largest drive-in chain, SONIC has successfully served up hot, fresh, delicious made-to-order food for more than 60 years. 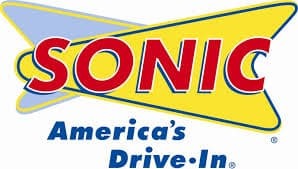 Today, they franchise and operate more than 3,500 SONIC drive-ins in nearly every state. SONIC is authentically mid-century and modern, a classic that continues to innovate. With a menu that offers so much variety, SONIC’S customers keep coming back for more during all of SONIC’s five balanced and distinct dayparts. Unlike other concepts that have one or two strong dayparts, our SONIC brand treasures work for you throughout the day. Tasty breakfast, lunch, afternoon, dinner and evening menu items are served fresh all day. HomeVestors of America, commonly known as the We Buy Ugly Houses company, is the number one homebuyer in America. Since beginning its real estate business franchise in 1996, using We Buy Ugly Houses advertising, HomeVestors franchise owners have purchased over 60,000 houses throughout the U.S. Typically, HomeVestors franchise owners pay cash for ugly homes whose owners are in difficult situations, renovate the houses and then sell or lease them. As one of the top rated franchises with approximately 500 franchisees independently operating in 37 states, HomeVestors commits itself to enforcing high ethical standards and systems that result in responsible business practices for franchises using the We Buy Ugly Houses trademarks. Hwy 55 Burgers Shakes & Fries has been serving up good times and great food since 1991. The franchise has achieved a lot in the last 24 years, growing to over 100 restaurants across North Carolina, South Carolina, Alabama, Tennessee, Virginia, Ohio, Texas and Florida, with hundreds more locations scheduled to open in the next seven years. During that time, its mission has remained the same: to provide each guest with world-class service and fresh food in a family atmosphere. Hwy 55 Burgers Shakes & Fries fits a niche between fast food and casual dining, offering the customer the best benefits of both segments. We provide the convenience of fast food, with rapid response times and an affordable menu, but with a twist: our freshly made food is a much tastier alternative to your typical frozen, pre-cooked hamburgers and french fries. If you enjoy working with children and you are excited about growing your own business, a JumpBunch franchise may be right for you. JumpBunch brings sports and fitness classes to existing daycare, preschool and school age classrooms. Since classes are held at the schools, this is a low-overhead, home-based business. JumpBunch serves a broad audience of children from 15 months to 12 years old with proven, age-appropriate programs for toddlers, preschool and school age kids. Today, over 50,000 children around the world enjoy JumpBunch classes every week. JumpBunch is fueled by over 300 lesson plans matched with sports equipment carefully sourced to be safe and age appropriate. JumpBunch is a tried and proven business model that positions owners to fill a real need valued by parents and school directors. Pillar to Post, a professional home inspection franchise, was started in 1994 and began offering franchises in both the U.S. and Canada that same year. Today, Pillar To Post is the #1 North American Home Inspection Franchise with more than 450 locations in North America. They are part of an elite group of real estate partners that select us as their preferred home inspection company. The Pillar to Post brand is trusted and reliable and we are committed to providing franchisees with training, tools and marketing to help them grow their business year over year. If you like to earn money based on your individual performance, while setting your own hours that are suitable to your own schedule and lifestyle, then you’ve come to the right place.